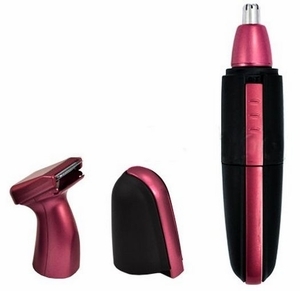 Weight: 61g Color: Black+ Red Trimmer Assembled w/Cap Closed: about 13cm (Long) x 2.7cm (Diameter). Nose Trimmer Diameter: 0.7cm. Beard Blade Trimmer Long: 1.9cm. Grooming Set Includes Trimmer Attachments for Nose and Beard Ergonomically Shaped. Smooth and Powerful Motor. Comfortable Rubber Grip. Easy to hold rubber grip. 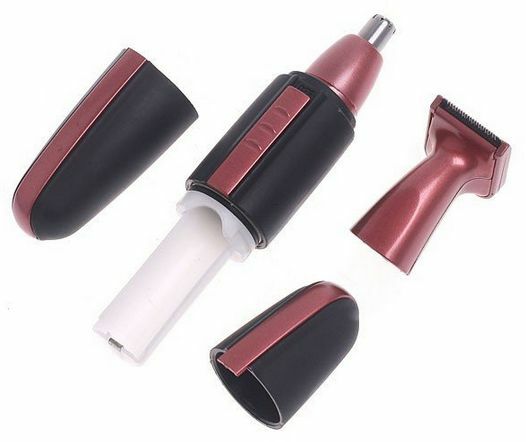 The ergonomically designed trimmer is comfortable in the hand, and the quiet. This trimmer is waterproof and washable, use Wet or Dry. perfect for use in the shower! The unit is powered by a single AA battery (not included) Turn on the switch and carefully insert the tip of the outer blade into your nostril or ear hole to trim the nose and ears hairs.